I have been a fan of the Cair Cushion System for a while now and is often found in Wintec and Bates products. 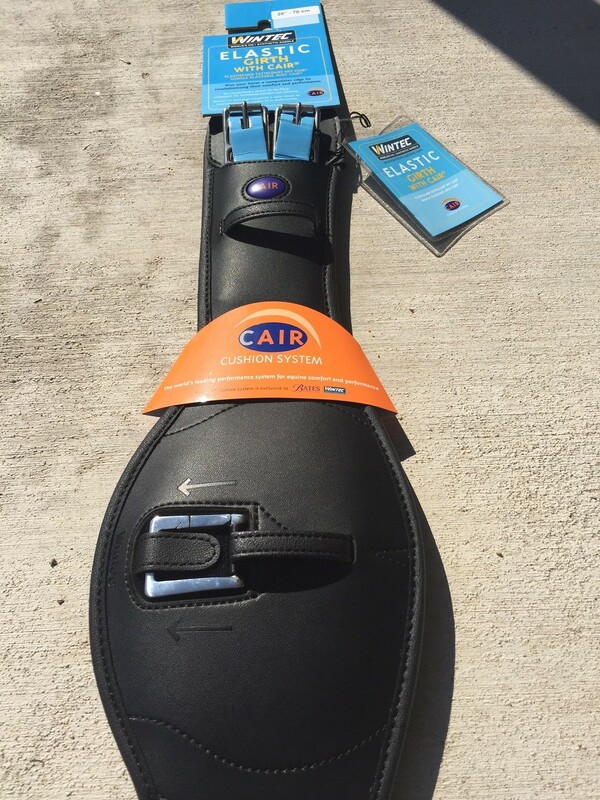 If you are unfamiliar with Cair, here is a short description: Fluidly working with your horse’s muscles, the revolutionary CAIR® Cushion System replaces traditional fillings in your saddle with air. 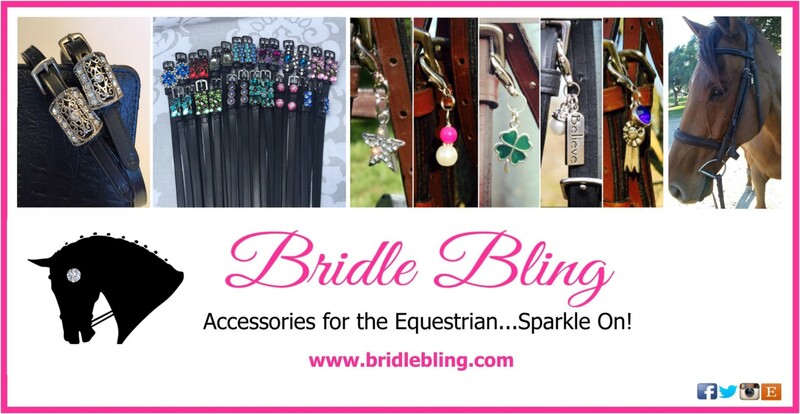 The cushioning nature of air encourages your horse to soften, relax and engage. Seated closer to your horse, you become simply an extension of one another. Transcend into a new world of opportunities through the power of true connection. Empower your horse with the ultimate in comfort, and explore your true potential together with the CAIR® Cushion System. 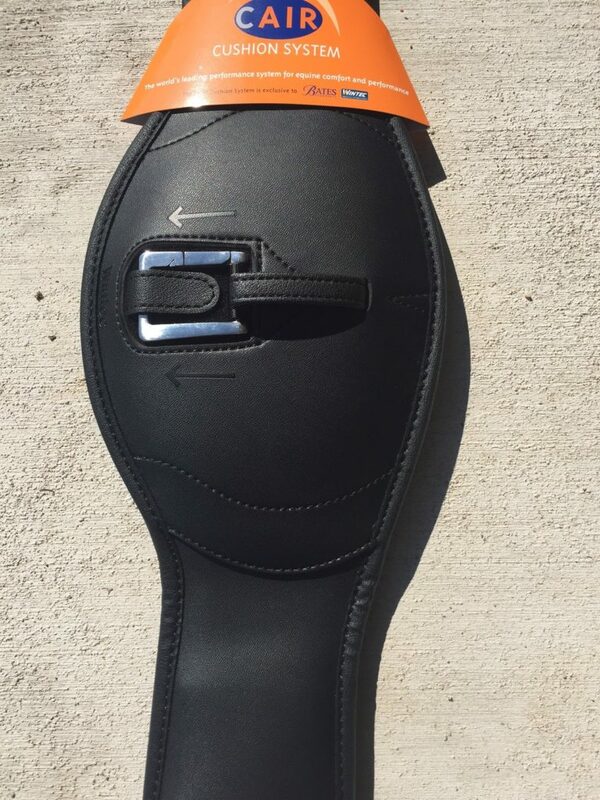 The biggest selling point for me is the comfort aspect for my horse. 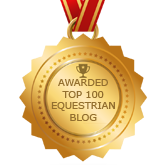 Happy horse…happy rider! 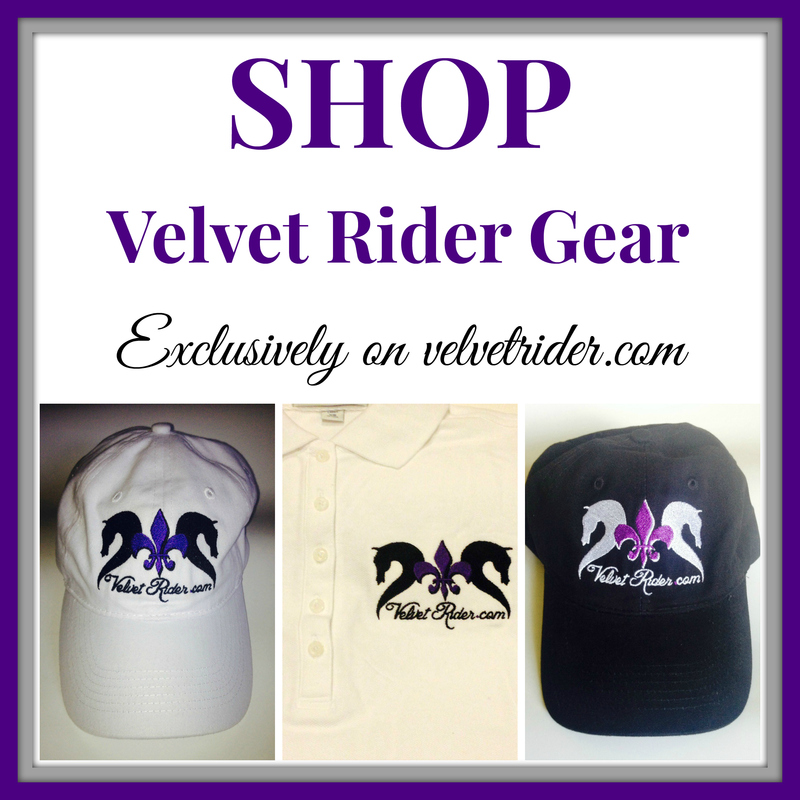 I am always striving to provide the utmost in comfort for my horses as we train in dressage. 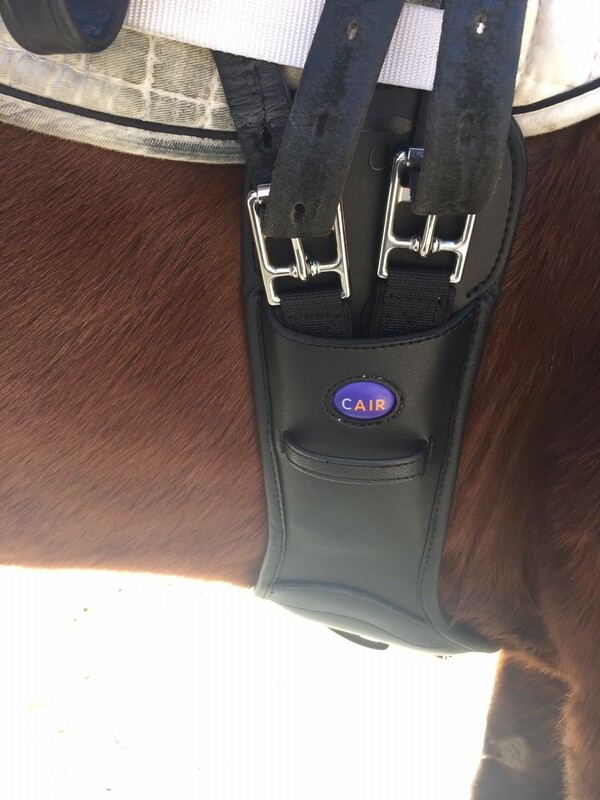 I was very excited to try out the Wintec Elastic Girth with Cair. 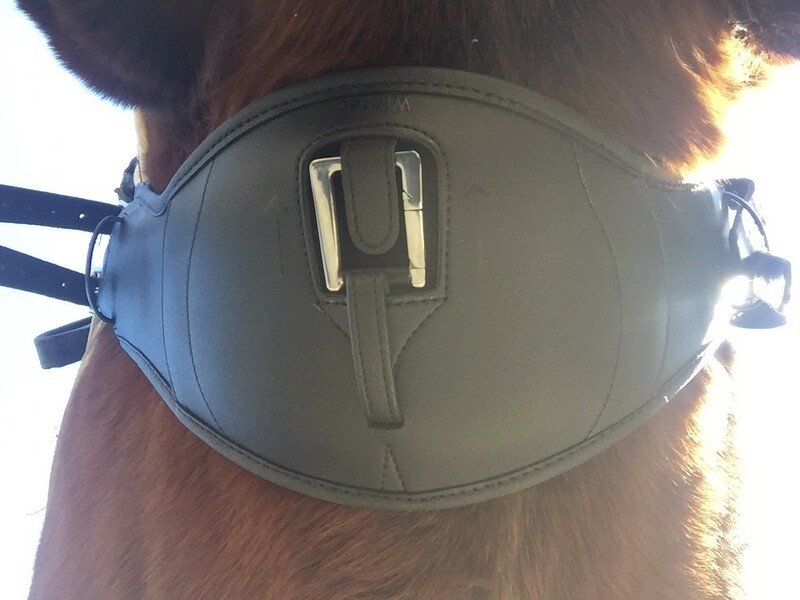 I have been using this girth for the last few months, and I have been so happy with it! 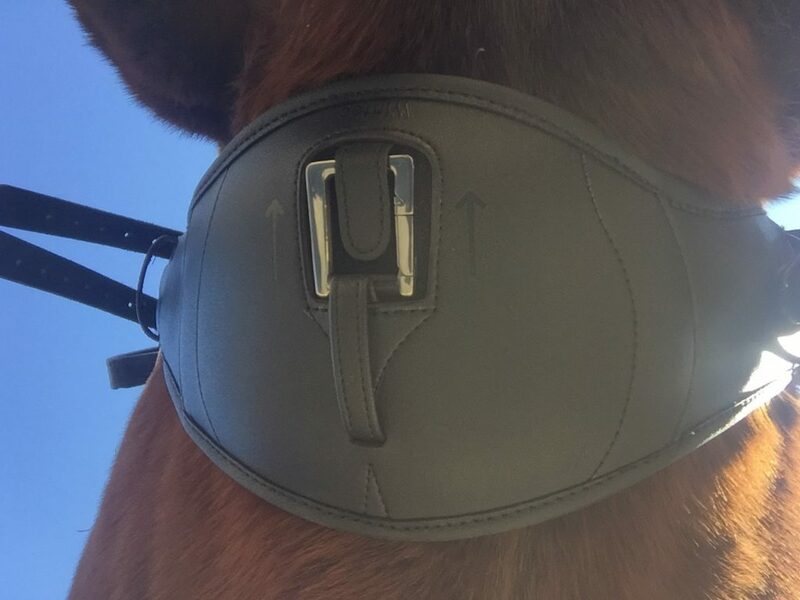 I love the ergornomic shape of the girth itself and actually do prefer this style as it evenly distributes pressure across the horse. 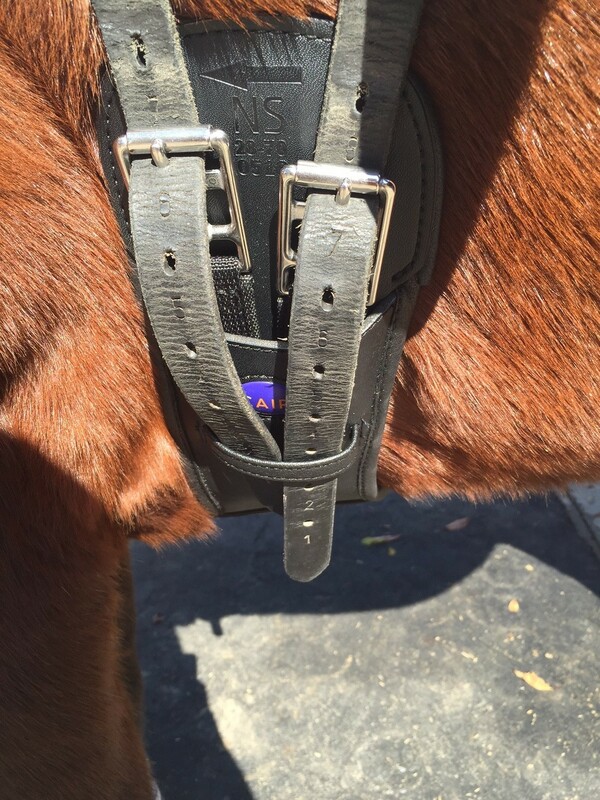 It has stainless steel roller buckles for easy tightening as well as a D ring in the center of the girth. 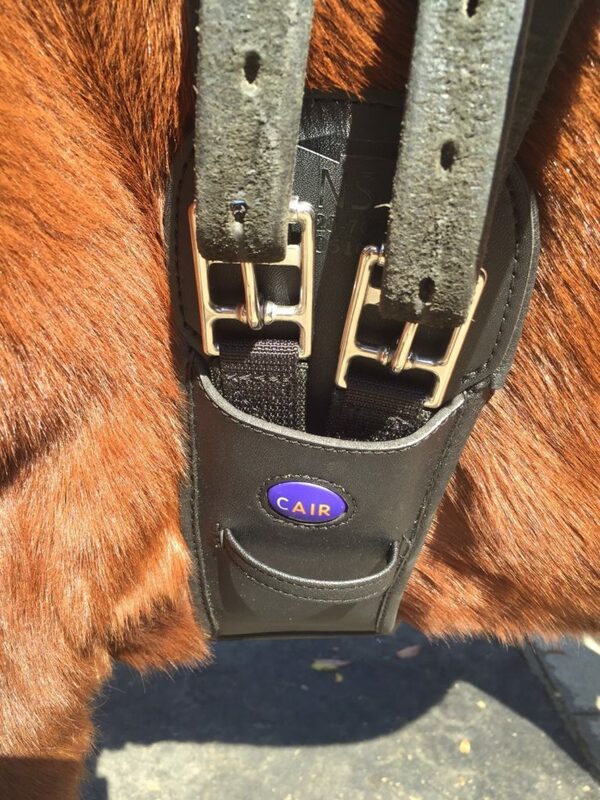 The Cair system is located in the center of the girth aiding in comfort for my horse. The keepers also keep the stirrup leathers stowed away. It is very well made and easy to clean. I always wipe it down after a ride, but on the grooved underside, if you want a thorough cleaning, I have found a toothbrush works very well. 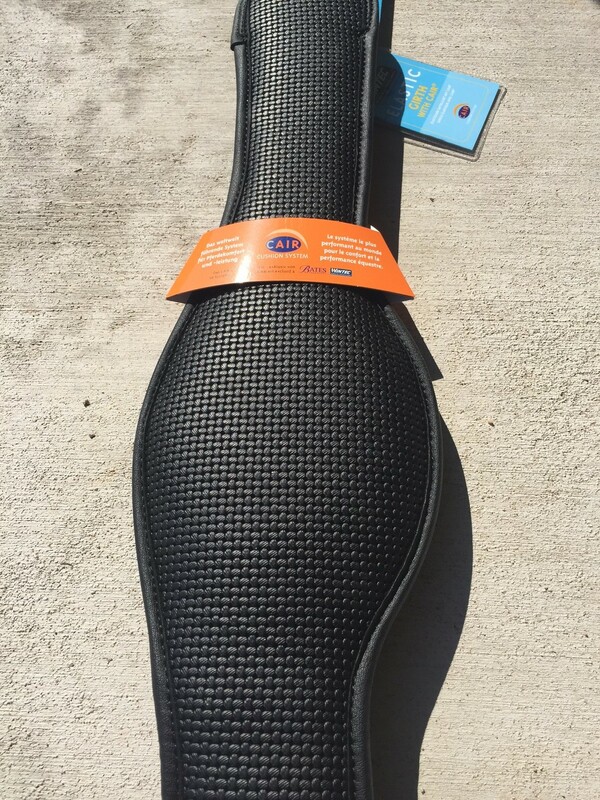 The girth is synthetic and is really nice looking. I also thought the arrows was a nice touch to ensure you put on the girth correctly. Petey has worked amazingly in this girth. He seems quite comfortable as we school, and it hugs him so I don’t have to worry about the girth loosening or slipping backwards during our ride. 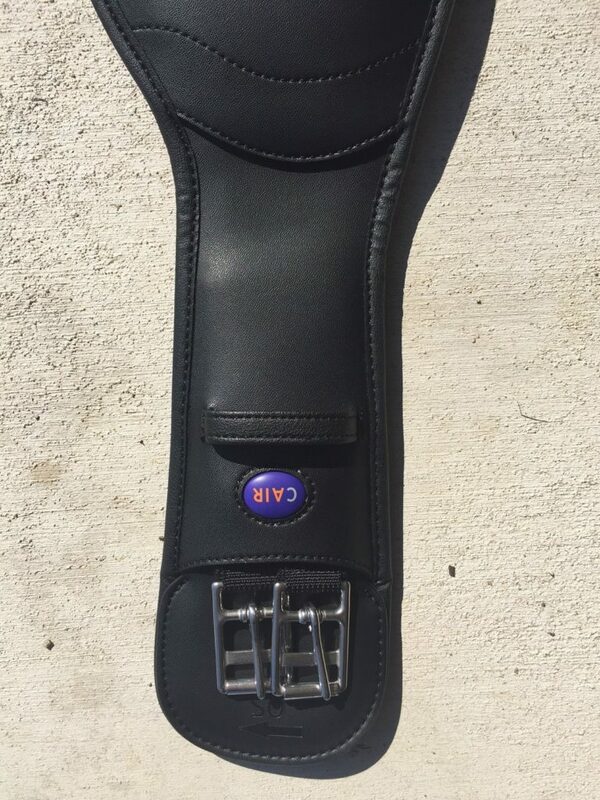 I think this girth really aids in freedom of movement which is so helpful in dressage. I highly recommend this girth and encourage you to give it a try. 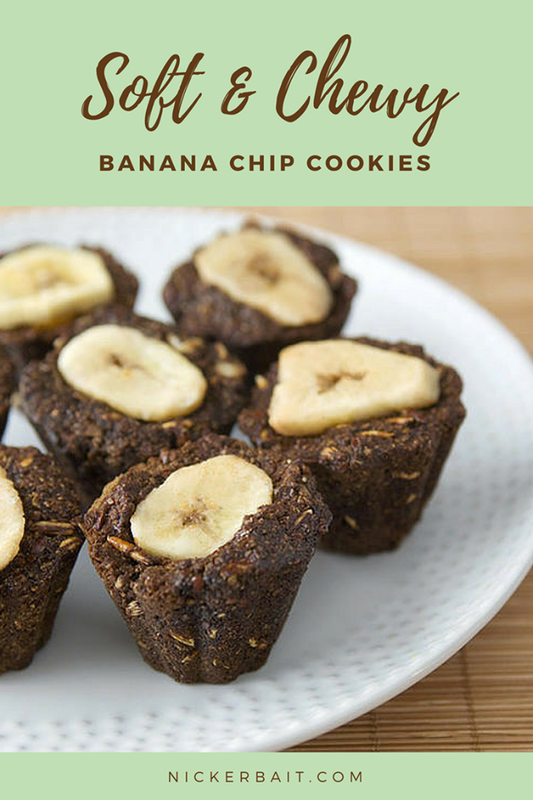 It quickly became one of my favorites and is perfect for daily use as well as for shows. 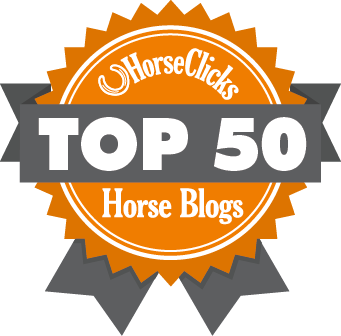 Be sure to visit Wintec for a list of worldwide retailers or check out Dover Saddlery!